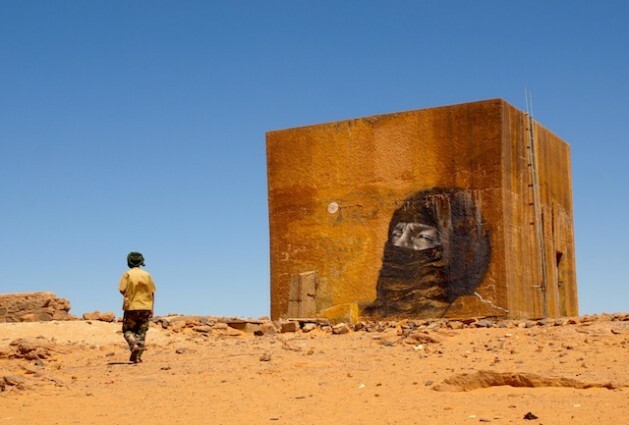 Conflict is brewing in the Western Sahara. Credit: Karlos Zurutuza/IPS. TINDOUF, Algeria, Jun 27 2012 (IPS) - “We’ve been building a lot of new walls lately,” says Polisario Front commander Ahmed Salem as he drives his 4 X 4 across Tindouf in Western Algeria. But the newly introduced security measures may not be enough to ensure the survival of the Western Sahrawis. Just a few yards from where an excavator that works day and night, we are waved in through a checkpoint manned by men in camouflage from the Polisario, which heads the Saharwi independence movement. At only a few kilometres from the Mauritanian border, this sea of mud houses and corrugated iron roofs is “home” to over 200,000 individuals.